This week there was an Earthquake in the East and now Hurricane Irene is heading towards the East Coast as well. Living in Florida for the past 6 years I’m familiar with hurricane preparations – you know the last minute trips to the store to stock up on batteries, bottled water, and canned food. However, I’ve never given much thought to preparing my emergency kit for a baby. Sure I have a baby but I’m really not a planner. I will probably been the person on the news crying because we don’t even have fresh water – unlike my best friend who could probably live for six months on her supplies. Whatever natural disaster you are planning for you need to assume that you may be without power, water, and other modern conveniences for 1-5 days. Several jugs of water that are designated for washing only – be sure to keep them separate from your drinking water supply. Roll of quarters – in the event that you have to evacuate and have access to a laundry mat. Wash all of your dirty cloth diapers before the storm hits. If you only lose power but still have clean water available you can hand wash your diapers. Even without hot water your diapers will be clean enough to use until power is restored. Directions on using a camp style washer or on hand washing. If you lose water you have a few options: use bottled water that you designated for washing, use disposable inserts/diapers, or hope that water is restored before you need to wash! Added: Before the storm hits fill up a tub with clean water and use it to wash your diapers if you lose water. If you have to evacuate these items are all small enough to pack inside a small storage tub or inside the camp style washer/tub. Note about disposables: Some parents who use cloth diapers don’t have ANY disposables in their home. A small percentage of babies are actually allergic or sensitive to disposables and cannot use them under any situation. There are eco-friendly (and healthier) disposable diapers available but you may not be able to find them locally. Also, since babies change sizes pretty regularly the pack of disposables that you purchased 1-2 years ago may not fit your baby today if you needed them. The question was asked; “Couldn’t you just go to the store and buy some if you ran out?” It really depends on how bad the storm was. Consider parents in New Orleans when Katrina hit. There were no stores open and if there were they may not take credit cards (for parents like me who NEVER carry cash). Just be prepared for the worst, regardless of if you decide to continue to use cloth diapers or disposables. Do you have an emergency kit prepared for natural disasters? Have you ever been in a natural disaster with your baby? Feel free to share your tips in the comments section. Whether you regularly use cloth diapers or disposable diapers you may want to consider adding cloth diapers to your emergency kit. You never know when a disaster may strike your family and you’ll be left using any and all available resources. To learn more about the Diaper Debate visit this great article from Healthy Child, Healthy World. Do you also breastfeed? Do you have a stash of frozen breastmilk? Here are some tips for weathering in the storm while preserving your stash. Blog: Human Milk News. Great article! 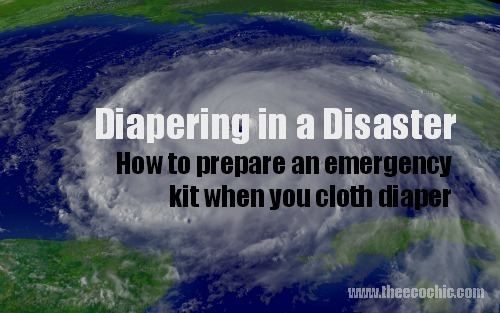 Good to have a checklist for diapering through emergency situations. Thanks for this article! I’m going to share this one. Hope everyone stays safe. Really nice article. I want to say you thanks for the great info which you are providing here. I recommend my friends to visit you site. Thanks for sharing this great article, I never would have thought about having empty totes available or to have quarters on hand! Great tips!I would have never thought of the roll of quarters for the laundromat!!!!! 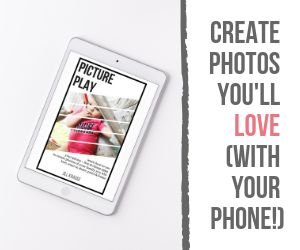 Awesome, awesome, awesome, thanks for sharing! I am getting ready to move to Virginia and am worried about hurricanes. Just a tip, you can use disposables that are a few sizes to small on a larger baby if you tuck it into a cover like the Flip, kawaii etc. pretty much how the same way you would an insert. I did that to use up baby shower diapers that were all size 1. Great ideas for preparing for emergency situations! I love how you mentioned that regardless of a families diapering decisions, it is just good planning to have diapers on hand. Definitely by including cloth diapers, families can feel secure about have diapering options for their children and not be worried about money, getting to the store etc. This will at least alleviate some worries during an emergency! In an emergency I couldn’t use cloth diapers. My son is super sensitive to cloth and can’t be in them very long after he wets with out breaking out in a rash, especially if they don’t go through a hot sanitary wash in the washing machine in between each use. 🙁 Maybe I will have better luck next time around. As a mother of 5 boys (ages 14,11,10, 5 and 4 months) I am trying to, and just learning how to be echo friendly. Love this post. Currently I use cloth diapers. I have disposables on hand. However, even if i did not use cloth i would still have them in my er kits. they make great wash cloth’s for kids hands and faces during times we do not have water or power. They can be useful for absorbing anything… blood in case that is needed, water where it is not wanted, ect… They are just plain useful to have. I love the camp/hand washers we have when we go camping so easy to use and works as well as I need it to in a pinch. I also have disposable wipes and cloth wipes in my kit as well. We do believe every one of the strategies you might have provided on the article. They’re just persuasive and may undoubtedly function. Nonetheless, this threads are way too simple education. May you please increase these folks a tad by next occasion? Appreciate this submit. Great article. I love the comment at the top about the last thing I would be worried about is cloth diapering. But also, if there are no diapers available, cloth diapers might be all there is. The think about cloth, there is always something that can be used.